This article is premium content. Subscribe now or log in if you’re a subscriber. One day access also available for $1.80. Eight-week course in reading Hebrew for beginners, taught by Judi Marcus. At HEA. Kavod Senior Life visits Chez Artiste together with Temple Sinai, and Denver and LEA Hadassahs for a screening of ‘The Passion of Joan of Arc’. Departing from Temple Sinai. Annual Passover event for the LGBT community and friends. At Temple Emanuel. Weekly class at Rodef Shalom with Rabbi Rachel Kobrin, learning and applying a chapter of Tanakh to timely news stories. At Rodef Shalom. Cong. Brith Sholem in Ogden, Utah hosts its annual communal Passover seder. Special musical Friday night Shabbat service at Temple Emanuel, led by Steve Brodsky and band. With guest Dr. Joshua Holt. Bi-monthly discussion of the weekly Torah portion led by Rabbi Fred Greene, with a bagels & coffee breakfast. At Har HaShem, 3950 Baseline Road. Astrology Shabbat with astrologer Elisa Robyn, exploring its connection to Kabbalah. Bagels, coffee, singing and parsha discussion at Temple Micah. Final day of Passover with Yizkor services (10 am) followed by matzah brei brunch. At Temple Sinai. The Four Sons: Which are you? 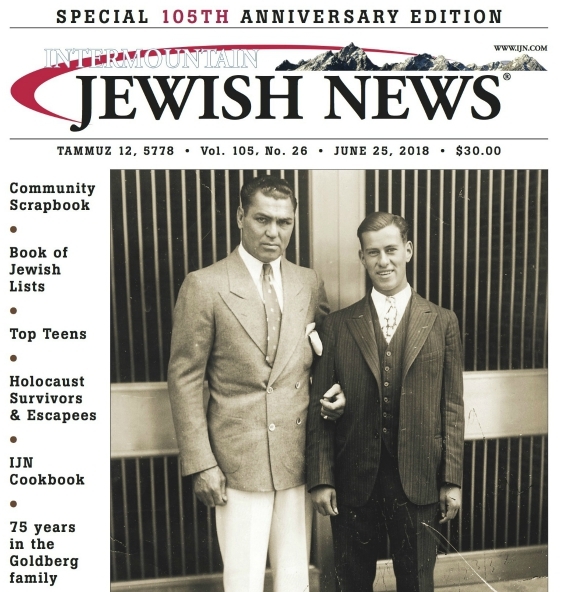 The Intermountain Jewish News is a weekly independent newspaper founded in 1913, covering the Jewish communities of the Front Range. The IJN is a member of the American Jewish Press Association, Colorado Press Association and National Newspaper Association. The IJN has garnered many first place awards in news writing, features, profiles, arts and criticism, editorial writing, special sections and graphic design.